Big Brother is dead. This is terrific news – particularly if you’re one of those morbid hacks who specialise in articles lamenting ‘the excessive trivialisation of our culture’. Even now the long dreary ‘think-pieces’ are being commissioned for the Sunday papers. We all know what they’ll say. Big Brother (born 2000, died 2010, RIP) is responsible for creating the great scourge of modern culture, the noodle-brained, cross-eyed, half-witted celebrity. The ‘bad’ celebrity, in other words, of whom Jade Goody, (a BB graduate) is the outstanding examplar. Jade Goody will be contrasted – amidst much weeping and rending of garments – with the Platonic ideal of the ‘good celebrity’, the late Kenneth Clarke whose series ‘Civilisation’ is often cited as a paragon of TV excellence. But Ken and Jade have more in common than meets the eye. To me, in fact, they’re identical. They filled up a corner of the living room with unexceptional twaddle. That’s all they achieved, all they were capable of. I’ve watched Clarke’s series, ‘Civilisation’. I’ve read the book too. In fact I watched the series twice and I can’t remember any of it. Not a word. Not a syllable. Not a single detail. I don’t find this remotely surprising. Nor can I remember a single detail from any of the shows made by his lauded successors Simon Schama and the angry one in tweed suits who looks as if he’s sitting on a spike. The reason I can’t remember anything from these shows is simple. They’re TV shows and TV is a zero-recall medium. In the days when television was young its creators imagined it might be an educational instrument. Now we know better. Television has educated us in the limits of television. It turns out to be about as educational as a hearth-fire: it absorbs exactly that sum of our attention as is going spare anyway. 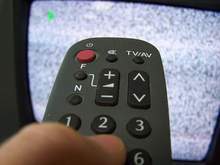 If you find TV excessively trivial, you’re right. And when you want something excessively trivial, there it is. When you want something better turn it off, read Milton, listen to a symphony, enjoy a landscape. Better still, write a symphony or paint a landscape. Our culture is excessively trivial only to the excessively trivial. If you drink a pint of Guinness without lifting the glass all you’ll taste is froth. Lift the glass.